"I want to carry out trial manufacture of motorcycle engines." It was from these words spoken by Genichi Kawakami (Yamaha Motor's first president) in 1953, that today's Yamaha Motor Company was born. "If you're going to do something, be the best." 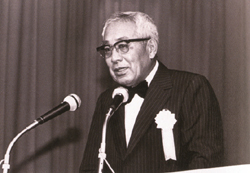 Genichi Kawakami was the first son of Kaichi Kawakami, the third-generation president of Nippon Gakki (musical instruments and electronics; presently Yamaha Corporation). Genichi studied and graduated from Takachiho Higher Commercial School in March of 1934. In July of 1937, he was the second Kawakami to join the Nippon Gakki Company. He quickly rose to positions of manager of the company's Tenryu Factory Company (musical instruments) and then Senior General Manager, before assuming the position of fourth-generation President in 1950 at the young age of 38. In 1953, Genichi was looking for a way to make use of idle machining equipment that had previously been used to make aircraft propellers. Looking back on the founding of Yamaha Motor Company, Genichi had this to say. "While the company was performing well and had some financial leeway, I felt the need to look for our next area of business. So, I did some research." 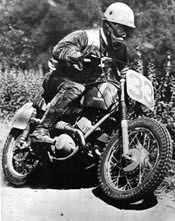 He explored producing many products, including sewing machines, auto parts, scooters, three-wheeled utility vehicles, and…motorcycles. Market and competitive factors led him to focus on the motorcycle market. Genichi actually visited the United States many times during this period. When asked about this decision, he said, "I had my research division chief and other managers visit leading motorcycle factories around the country. They came back and told me there was still plenty of opportunity, even if we were entering the market late. I didn't want to be completely unprepared in this unfamiliar business so we toured to German factories before setting out to build our first 125cc bike. I joined in this tour around Europe during which my chief engineers learned how to build motorbikes. We did as much research as possible to insure that we could build a bike as good as any out there. Once we had that confidence, we started going." The first Yamaha motorcycle... the YA-1. "If you are going to make it, make it the very best there is." With these words as their motto, the development team poured all their energies into building the first prototype, and ten months later in August of 1954 the first model was complete. It was the Yamaha YA-1. The bike was powered by an air-cooled, 2-stroke, single cylinder 125cc engine. Once finished, it was put through an unprecedented 10,000 km endurance test to ensure that its quality was top-class. This was destined to be the first crystallization of what has now become a long tradition of Yamaha creativity and an inexhaustible spirit of challenge. Then, in January of 1955 the Hamakita Factory of Nippon Gakki was built and production began on the YA-1. With confidence in the new direction that Genichi was taking, Yamaha Motor Co., Ltd. was founded on July 1, 1955. Staffed by 274 enthusiastic employees, the new motorcycle manufacturer built about 200 units per month. That same year, Yamaha entered its new YA-1 in the two biggest race events in Japan. They were the 3rd Mt. Fuji Ascent Race and the 1st Asama Highlands Race. In these debut races Yamaha won the 125cc class. And, the following year the YA-1 won again in both the Light and Ultra-light classes of the Asama Highlands Race. By 1956, a second model was ready for production. This was the YC1, a 175cc single cylinder two-stroke. In 1957 Yamaha began production of its first 250cc, two-stroke twin, the YD1. The first Yamaha to compete in America (1957). Based on Genichi's firm belief that a product isn't a product until it can hold it's own around the world, in 1958 Yamaha became the first Japanese maker to venture into the international race arena. The result was an impressive 6th place in the Catalina Grand Prix race in the USA. News of this achievement won immediate recognition for the high level of Yamaha technology not only in Japan but among American race fans, as well. This was only the start, however. Yamaha took quick action using the momentum gained in the USA and began marketing their motorcycles through an independent distributor in California. In 1958, Cooper Motors began selling the YD-1 250 and the MF-1 (50cc, two-stroke, single cylinder, step through street bike). Then in 1960, Yamaha International Corporation began selling motorcycles in the USA through dealers. With the overseas experiences under his belt, in 1960, Genichi then turned his attention to the Marine industry and the production of the first Yamaha boats and outboard motors. This was the beginning of an aggressive expansion into new fields utilizing the new engines and FRP (fiberglass reinforced plastic) technologies. The first watercraft model was the CAT-21, followed by the RUN-13 and the P-7 123cc outboard motor. In 1963, Yamaha demonstrated its focus on cutting-edge, technological innovations by developing the Autolube System. This landmark solution was a separate oil injection system for two-stroke models, eliminating the inconvenience of pre-mixing fuel and oil. Yamaha was building a strong reputation as a superior manufacturer which was reflected in its first project carried out in the new Iwata, Japan Plant, built in 1966. (The YMC headquarters was moved to Iwata in 1972.) Toyota and Yamaha teamed up to produce the highly regarded Toyota 2000 GT sports car. This very limited edition vehicle, still admired for its performance and craftsmanship, created a sensation among enthusiast in Japan and abroad. Genichi said, "I believe that the most important thing when building a product is to always keep in mind the standpoint of the people who will use it." An example of the commitment to "walking in the customers' shoes" was the move in 1966 by Yamaha to continue its expansion. Overseas motorcycle manufacturing was established in Thailand and Mexico. In 1968, the globalization continued with Brazil and the Netherlands. With manufacturing bases, distributors and R&D operations in a market, Yamaha could be involved in grassroots efforts to build products that truly met the needs of each market by respecting and valuing the distinct national sensibilities and customs of each country. Yamaha continues that tradition, today. By the late 1960s, Yamaha had quality products that had proven themselves in the global marketplace based on superior performance and innovation. Distribution and product diversity were on the right track. But Genichi knew that beyond quality, success would demand more. He had this view on the power of original ideas. "In the future, a company's future will hinge on ideas over and above quality. Products that have no character, nothing unique about them, will not sell no matter how well made or affordable…and that would spell doom for any company." He also knew that forward vision, walking hand in hand with original ideas, would create an opportunity for the company and its customers that could mean years of happiness and memorable experiences. Genichi said, "In the business world today, so many people are obsessed with figures. They become fixated on the numbers of the minute and without them are too afraid to do any real work. But in fact, every situation is in flux from moment to moment, developing with a natural flow. Unless one reads that flow, it is impossible to start out in a new field of business." the 250cc, single cylinder, 2-stroke, Enduro that put Yamaha On/Off-Road motorcycles on the map in the USA. The DT-1 exemplified the power of original ideas, forward vision, and quick action coupled with keeping in mind the customers' desires. In years to come Yamaha continued to grow (and continues to this day). Diversity increased with the addition of products including snowmobiles, race kart engines, generators, scooters, ATVs, personal watercraft and more. 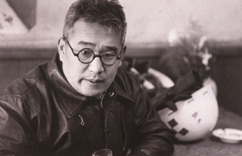 Genichi Kawakami set the stage for Yamaha Motor Company's success with his vision and philosophies. Total honesty towards the customer and making products that hold their own enables the company that serves people in thirty-three countries, to provide an improved lifestyle through exceptional quality, high performance products. Genichi Kawakami's history with Yamaha was long and rich. He saw the new corporate headquarters in Cypress, California and the 25th Anniversary of Yamaha become a reality in 1980. He also watched bike #20 million roll off the assembly line in 1982. Genichi passed away on May 25, 2002 yet his vision lives on through the people and products of Yamaha, throughout the world.